My students had another dance performance recently. To fit the theme, I decided to dive into the wizarding world! What better way than to 3D print a wand? I had to go simple since I had to make enough for all of my students with the time I had available. 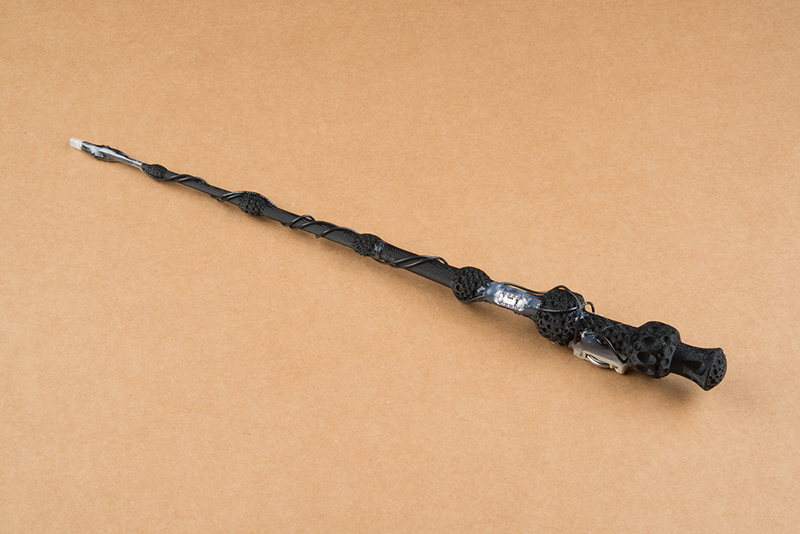 Browsing Thingiverse, there were quite a lot of wands to choose from. I finally found the wand from user jakereeves. There was an option to print the wand as a single piece, but I did not have enough space on the print bed. Shrinking and rotating could have been an option but a smaller size would not have been as appealing on stage. The wand was cool but I went the extra mile and added an LED to light the end. While there were other prints that had an option to have the electronics inside, they appeared to be bulky or more involved than what I wanted, so I opted to have the electronics on the outside. 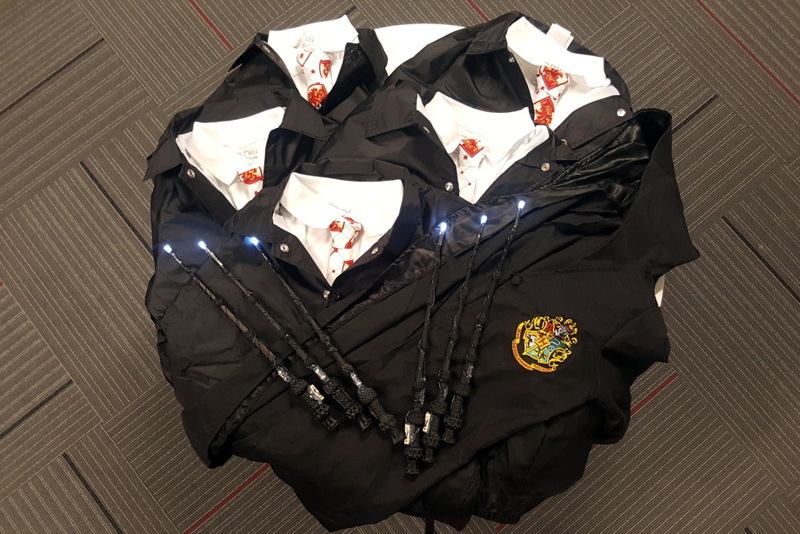 Satisfied with the initial build, I continued to make wands for each student's costume. On a side note, Joann Fabrics usually has some cool fabric patterns if you wanted to make a custom clip-on tie. How did it go when I handed the illuminated wands over to my students? Well, they did not mind the circuit being wrapped around on the outside of the wand. 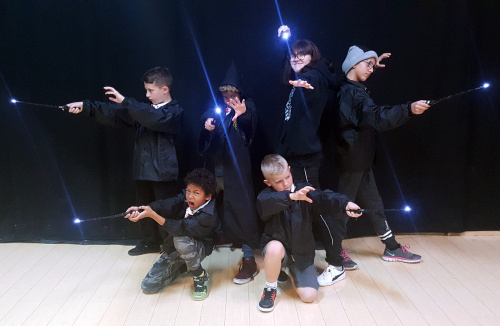 The kids started saying magical incantations, ran around flicking imaginary balls of energy, and tried making things levitate. As a result, NO ONE WAS FOCUSED. Luckily, I handed them their illuminated wands during their last rehearsal before the fall show. At least they were really in character? Looking to build one yourself? Check out my associated tutorial. Have you tried a project like this? Let us know your thoughts below in the comments. Until next time! Since you mentioned JoAnne's, I'll give a reminder: Check the "junk mail" and/or the ads in the Sunday paper, as from time to time JoAnne's runs coupons good for a substantial percentage off any one item (with restrictions). Michael's runs them just about every week.